After my post the other day, I decided to start writing reviews (thanks anon person who responded to the post). I’ve not created a new section of the blog called The Book Club. In there I will link all my book reviews and will add how I read the book, by eye or by ear, and how long it took me to read it. Hopefully some of you will find it useful to find new books to read! Please take into consideration that I work part-time at the moment. This means that I do spend a lot of time reading, so the time I have taken to read the books include days where I plough through books on days off. If the number of days seem unrealistic to you as a reader, don’t worry! You’ve probably got a lot less free time on your hands than what I currently do. I’m listing the reviews in alphabetical order to the surname of the author to make it easier to find a particular book/author. I’m adding what genre the book is too even though I mostly read fiction at the moment. Would love your feedback and if there is anything else you would like from a book review as a dyslexic person. They say “never judge a book by its cover” but I would like to add to this, “never judge a book by its title”. I am a big fan of free ebooks! It means that I can check out authors I’ve never read before and find books I’d never heard of before. 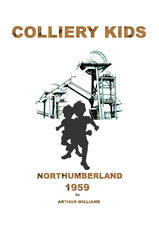 Colliery Kids was one such free ebook that I thought sounded interesting from its title and from the books’ description. Frank Zappa has created music that has been in my collection for many years and I have learnt valuable lessons about “Yellow Snow” which I will definitely NOT be eating. Mr Zappa once said, “So many books, so little time.” This is a quote I have really taken to heart in the last few years. I’ve been a lot quieter on the blog front of late. I’ve not had a lot to say so didn’t want to waffle on for the sake of waffling. I have been keeping involved though through the Twitter chat I host, #DDChat, which takes place on Thursdays 8-10pm UK and Irish time. I do plan to write a brand new blog this week though, so keep your eyes peeled. Until then, I hope you’ve all been enjoying the summer as much as I have (even though mine has been crazy busy! ).